Today is our Dad's 61st Birthday! We couldn't let it pass by without writing something about our wonderful, incredible, amazing, so lucky he's ours, Dad. When thinking about what exactly we could write about this year, this idea made us smile the most! 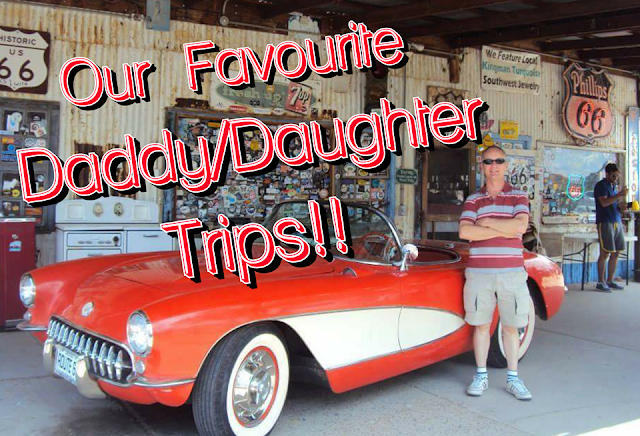 We have been on many a Daddy/Daughter trip in the last 29 years, so here's a little trip down memory lane to a few of our favourites! 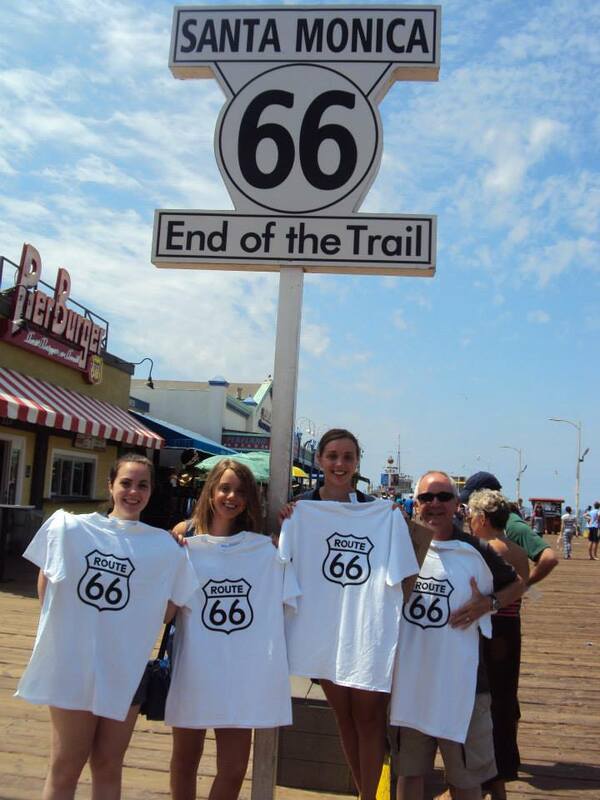 We, along with our Dad and sister Jen, had talked about doing Route 66 for years. 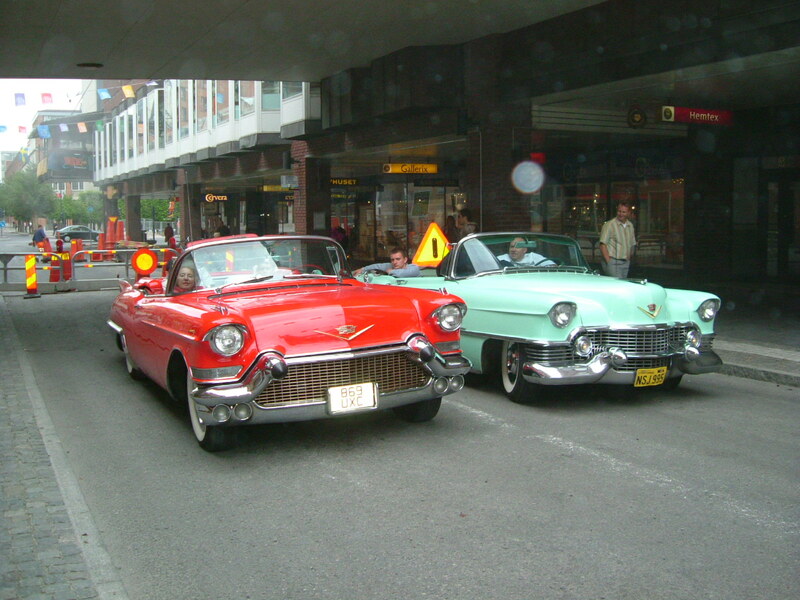 All of us being huge fans of the 50's era, with the cars, diners and fashion, thought it sounded fascinating. We finally decided we would plan it around Jen's 21st birthday, which was back in August 2014. The whole trip was everything we'd imagined and more. It lasted just over two weeks, as we took detours to the Grand Canyon and Las Vegas (where we spent Jen's 21st). We saw so many cool classic car museums, had Ice Cream from places that were around when Route 66 was still an active road, we saw old prisons, ghost towns, meteor craters, rundown zoos and classic diners! We also slept in a Wigwam and saw Jersey Boys live in Vegas! We loved hearing stories from Dad about the places he'd been to when he was younger and how much they'd changed, like the Grand Canyon that's now a national park, but wasn't when he first went. When we reached the end of the trail sign on Santa Monica pier it was quite sureal to think we had actually completed it, after all those years of talking about it. Dad had driven all the way from Chicago to California, we made so many incredible memories, laughed a lot, got hangry a bit, ate many a fry and it was brilliant. Back when we were 16 & 17, Dad took us both to Sweden, to one of the biggest Car Shows in the world; The Power Big Meet in Vasteras. This is a car show that to this day Dad still goes to, but he always fly's and stays there for just three days. When we agreed to go it was Dad's excuse to drive there, thus making it a nine day trip and allowing him to drive his 57 Cadillac all the way there. This is something he had always wanted to do and would love to do again. 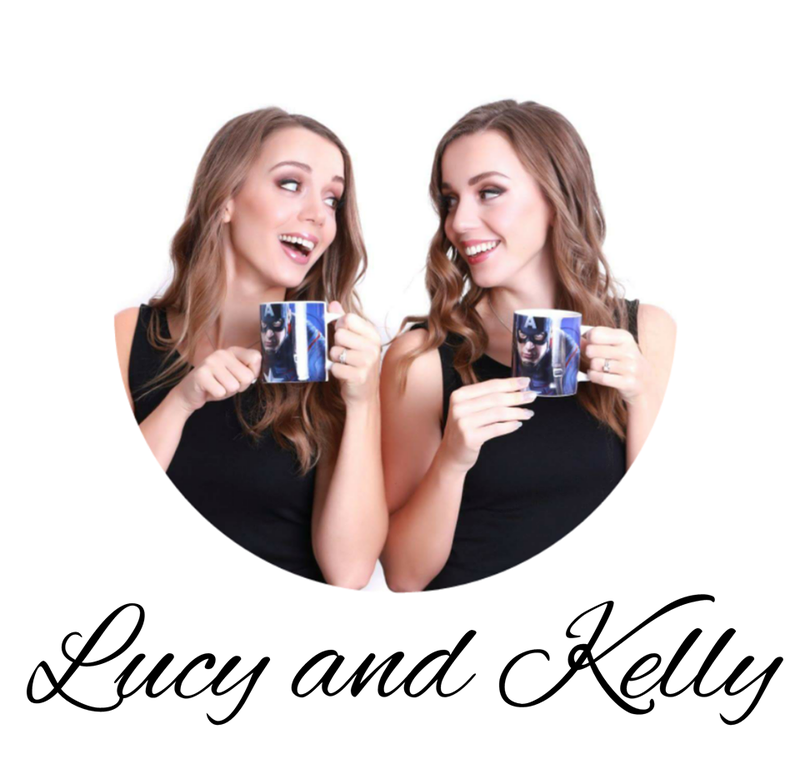 We had so much fun, dressed all in black, rocking our Good Charlotte MADE hoodies, this was long before we were confident enough to wear 50's dresses and make up. (Oh to be young!) The show itself was huge but the cruising till 4am was even bigger. It was like the town of Vasteras had gone back in time, to roads filled bumper to bumper with American Classics and people having a good time. Petrol stations were filled with music and people dancing and drinking. It truly was a sight to behold. We would very much love to do it again one year, and this time dress accordingly. 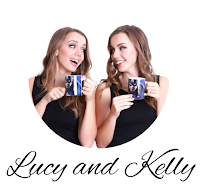 It would be so much fun to go all out, rocking our 50's dresses, and you can bet we'd sneak a few of our Overtones Cd's there too. Just thinking about these amazing trips warms our hearts and makes us happy. We are incredibly lucky, which we know we say a lot but it's true, to have such a great bond with our Dad. Daddy/Daughter time and trips are welcomed with open arms, no matter how old we get, and we will treasure the wonderful memories forever!